Last updated: June 13, 2018 at 3:53pm by Savanah – A third tribal casino might be built in North Carolina by the Eastern Band of Cherokee tribe. The casino hotel is anticipated to cost around $61 million if built, with 200 hotel rooms, 250 slot machines, 20 table games, and 25,000 square feet of gaming space. There is no specific time-frame on when any final decisions will be made. The state does offer different forms of gambling that are legal, and we will highlight these in more detail later on in this article. Where Does the State Stand on Playing Poker Over the Internet? This is a question that comes up often, as with most states, and it’s not as easy to answer as one might think. From the definition listed above, it mentions how betting on a game of chance is considered illegal. Well, many experts would argue that poker is considered a game of skill, and not chance. Secondly, there is no state law that specifically states or outlines that playing poker over the internet is illegal. There are sites that accept players from the United States and we have found no cases where a person in North Carolina was arrested for playing online poker. Their does not seem to be any bills currently in the works to regulate and tax poker online. As more and more states continue to offer intrastate poker to the people within their state, I’m sure North Carolina will follow suite at some point in time to wreak the benefits. North Carolina has a State Lottery (North Carolina Education Lottery), two Indian casinos (owned by the Eastern Band of Cherokee tribe), and offers charitable bingo and raffles. The North Carolina Education Lottery, enacted in 2005 and begun in 2006, is one of the most recent states to implement a state lottery. The North Carolina State Lottery Act created the 9-member Lottery commission who was charged with overseeing all aspects of the education lottery. 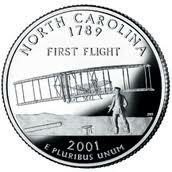 100% of North Carolina Lottery net proceeds go directly to benefit the state’s education. Lottery funds go to paying teacher salaries for grades K-3, school construction, need-based college financial aid, and pre-kindergarten for at-risk four year olds. They offer scratch-off games, mega millions and powerball drawing games. The revenue distributions are 60% paid out in prizes, 29% transferred into the education fund, 7% paid to the retailers who sold lottery tickets, and 4% to general lottery expenses. North Carolina’s only federally recognized tribe, the Eastern Band of Cherokee Indians, owns Harrah’s Cherokee and Cherokee Valley River Casino & Hotel. In 1994, the tribe reached an agreement with the state Governor under the Indian Gaming Regulatory Act, allowing construction of a casino with electronic games requiring “skill or dexterity”. The $82-million permanent casino, managed by Harrah’s Entertainment, opened in November of 1997. After negotiating a new agreement with the current Governor, the casino began offering table games in August 2012. On October 15, 2013, ground broke for the second tribal casino in the state, the $110 million Cherokee Valley River Casino & Hotel. The new Indian casino opened on September 28, 2015, and employs 900 people in the 60,000 square foot gaming space building with 300 hotel rooms. The casino offers 70 table games and around 1,000 slot machines. Non-profit organizations are allowed to operate bingo games and raffles for fundraising. The organization must receive a bingo license from the Department of Public Safety. Bingo prizes cannot be more than $500, and raffles cannot exceed $10,000 in cash or $50,000 in non cash items. Organizations are also limited to having only two raffles annually. Although once permitted as a legal form of gambling, greyhound racing is no longer allowed. North Carolina use to have two tracks that offered pari-mutuel wagering from 1948 to 1954. In 1954, the state Supreme Court ruled to close and shutdown the tracks for business.